Millennials are more “multicultural” than any previous generation. In the U.S., approximately 40 percent of the generation identify as Hispanic, African-American, or Asian American. The median age for non-Hispanic whites is 42 years old, compared with 35 for Asian-Americans, 32 for African-Americans and just 27 years old for Hispanics, according to the most recent U.S. Census data. With high life expectancies factored in, multicultural consumers have more years of effective buying power ahead of them – a gap of 19.8 years in the case of Hispanic consumers. This means that investments made now in multicultural outreach and building customer loyalty will pay dividends for decades to come. Among Hispanics, 55 percent are bilingual, according to Nielsen research, and 19 percent are Spanish-dominant. This means Spanish-language services and advertising have the potential to reach three-quarters of this large and growing market. Even among bilingual Hispanics, some may be more comfortable with Spanish or more attracted to brands that use the language. Hispanic Millennials say they choose brands and companies that appeal to them through their culture. In fact, 71 percent of all Millennials say they appreciate the influence of other cultures on the American way of life. Among multicultural consumers who are immigrants, rates of English proficiency vary – from 31 percent among immigrants from Mexico to a high of 76 percent among those from Europe or Canada. There is a wide dispersion among Asian-Americans. 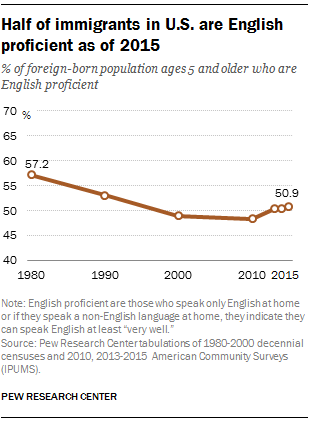 Fifty-four percent of immigrants from South and East Asia are English proficient, while 61 percent of those from the Middle East (which spans Asia and Africa) are English proficient. This is significant for multicultural buying habits because among all these groups, at least a quarter of consumers are likely to prefer shopping in a language other than English. Asian-Americans make up six percent of the U.S. population and control six percent of its buying power. They represent today’s fastest-growing ethnic consumer group. In 2016, they had an estimated buying power of $891 billion, which is expected to grow to $1.2 trillion by 2021. Asian-American buying power grew a whopping 222 percent between 2000 and 2016. Nearly 80 percent of Asian-Americans are immigrants, and they come from more than 40 countries of origin. This means that although Asian-Americans are more educated and affluent than the average American, retailers may still face significant linguistic or cultural barriers to attracting them as consumers. Companies hoping to influence multicultural buying habits need to be sure they don’t view Asian-Americans monolithically. For instance, consider the differences between South Korea, the Philippines and Pakistan. Brands need to marshal linguistic and cultural expertise to appeal to this diverse segment of society. In that way they can craft the most appropriate message for consumers delivered in the language that resonates best. Among Asian Americans, Indians are the most affluent consumers, with $212 billion to spend. When it comes to influencing Asian Americans, TV and social media play a significant role. Nearly half of Asian Americans watch TV in both English and an Asian language. Among Latinos who use social networking sites, 40 percent do so partly or entirely in Spanish. 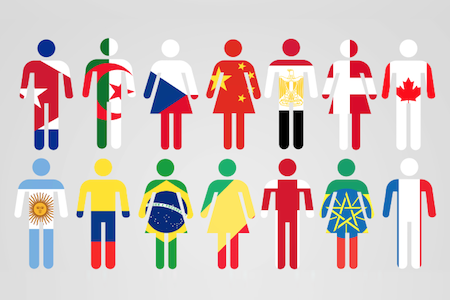 This means that multicultural buying habits can be shaped through a variety of media, originating in a variety of places, and need to be in the proper language for those venues. As these numbers show, there are significant opportunities to market to these consumers in their own languages and continue to build relationships with them by offering language services not only on websites and marketing materials, but also in customer service interactions. If your company wants to forge relationships with these populations and influence multicultural buying habits, language access offers a clear competitive advantage.